I am embarking a new journey that I hope will lead to some fun, some money and a lot of learning. I will be building and programming a robot. The building part is not that hard, I have done that several times with FIRST teams in Philly and Washington DC. It is the programming part that is going to be the challenge for me. 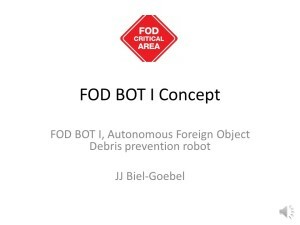 I want to build a robot named the FOD BOT I. 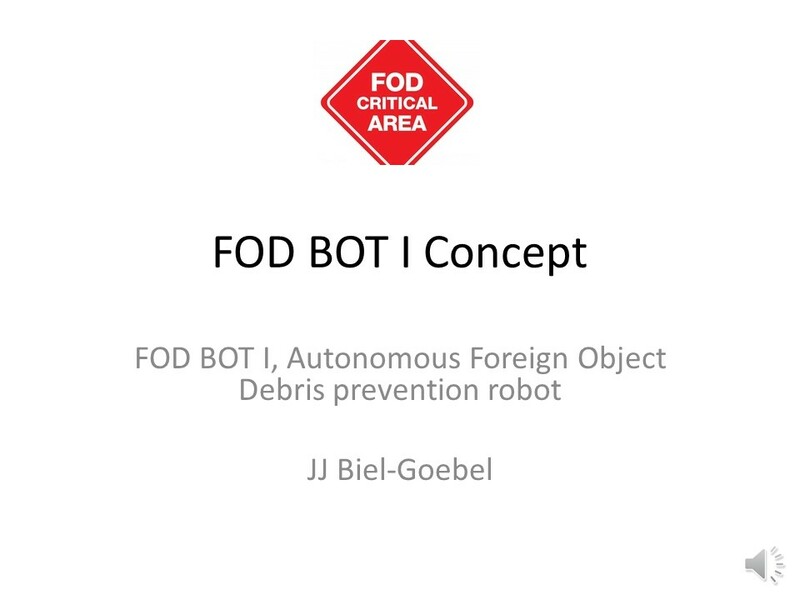 The FOD BOT 1 is an OSHA approved Roomba on steroids capable of operating autonomously 24 hours a day to prevent Foreign Object Debris (FOD) in production environment. It is an idea I came up with a few years ago that I think still has legs. If you want to learn more about this project check out this video. I will add the kick starter info once it is approved. I am also working on combining my work at the CATT Lab with my love for robots. The CATT Lab is working to be the NOAA of transit and is collecting transportation data from the entire country on a daily basis to serving it back to customers in 26 states in both real time and access to the archive. One of the challenges facing the lab is the growth of connected cars (cars that talk to each other) and autonomous cars (cars that drive themselves). Both of these types of vehicles will be changing the way we drive and how transportation data is collected. Connected cars hit the roads as early as next year and autonomous cars might hit the road as early as 2020. But if you look at cars as robotic systems they have a lot of similarity to the changes taking place in aviation right now as the FAA looks to create the legal framework for Unmanned Arial Systems (UASs). These are just autonomous cars that can fly, the problem is they are already in the airspace being used by farmers, wedding photographers, real estate agents, news organizations and many others. This is forcing the FAA to rapidly react, leaving lots of room for recommendation. That is where I hope to fit in, I am going to write a series of white papers based on capturing black box data from unmanned systems as they apply to ground and air based application in hopes of guiding the US Department of Transportation (USDOT) to create a universal policy. I will update you as it goes. « Will we breed our way to higher average IQ?